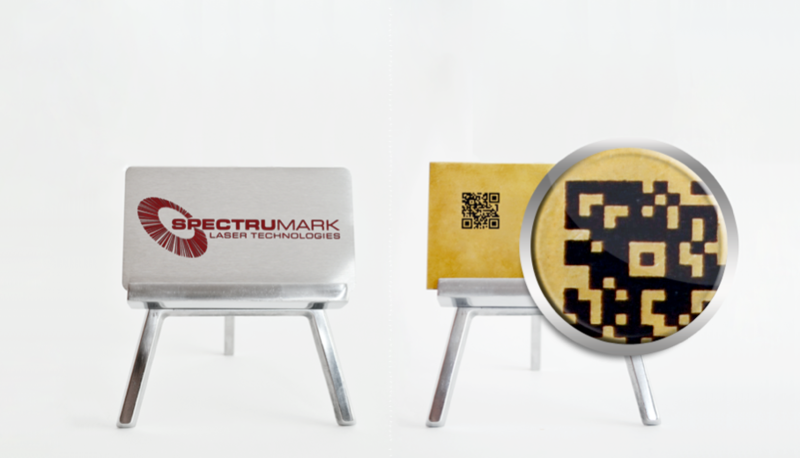 The Spectrumark® Technology (patent pending) delivers permanent, high contrast and high resolution marks on a wide variety of metals – using a common CO2 Laser. Spectrumark® Laser Marking Inks are sold as a concentrated powder – which is very economical and easy to use at the same time. Spectrumark® CM01D Concentrate for Metal creates high resistant markings on stainless steel, brass, copper, titanium, nickel and other metals.